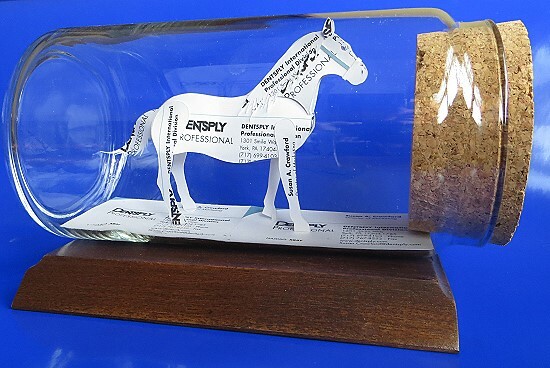 Business Card Sculptures make unique gifts, mementos or just to say “thank you!” They look great on a desk or coffee table, bookcase or trophy case. 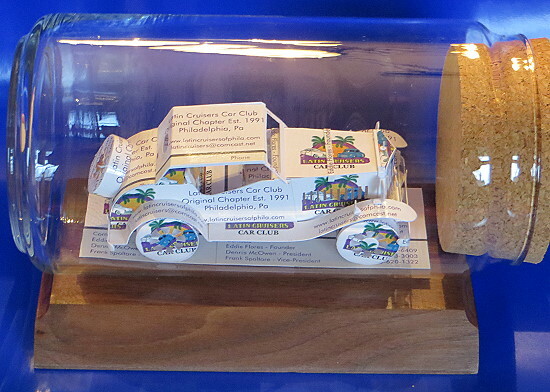 Co-workers, graduates, athletes and friends all appreciate Business Card Sculptures for their creative designs and workmanship. 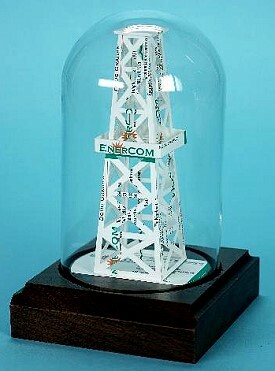 They are also used as awards for sales or safety campaigns. Our most popular business card sculptures include the Doctor (left) and Golfer. 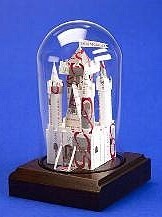 They are all hand-made from the recipients business cards using customized dies that have been developed over 20+ years. We can also produce custom-ordered designs by request. Call or email for details! All of our products are listed in the sidebars. 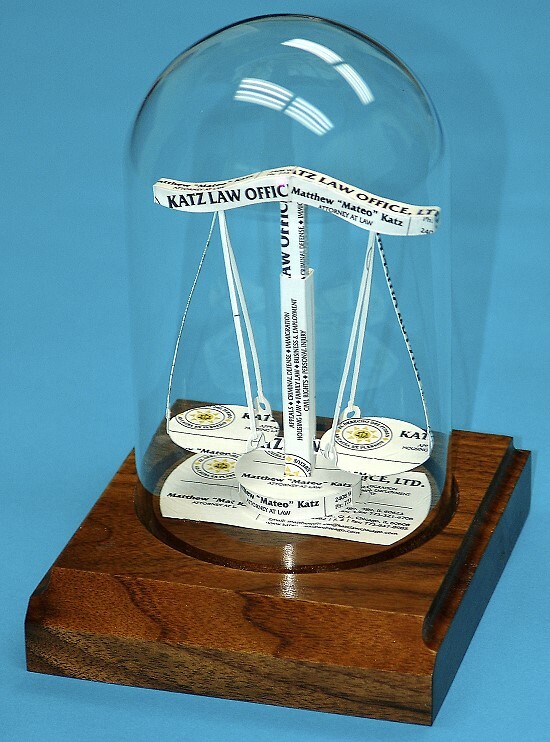 We have 60+ business card sculptures to choose from. We have categories of gifts in the boating, aviation, sports, petroleum, occupation, trucking and transportation. These categories are listed to the left. Gifts that boldly go where noone has ever gone before! 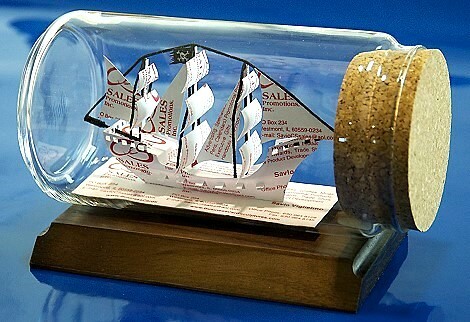 Business card sculptures under glass or in a bottle are unique, just like a ship built in a bottle. 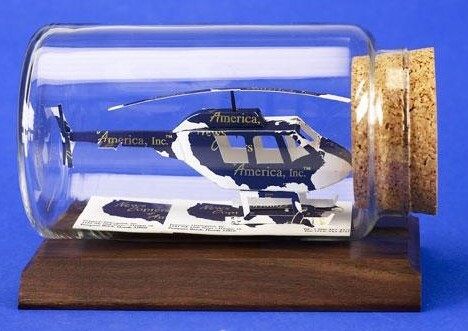 They are personalized gifts of distinction made from the recipients business cards. 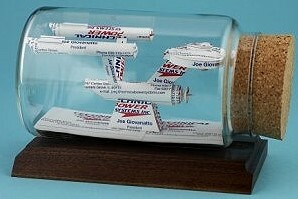 We’ve also made them from baseball cards, postcards and brochures. 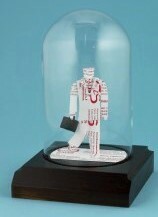 Since we need 20 actual business cards, we cannot sell these sculptures under glass online. The cards must be shipped with your order. We accept credit cards and you can supply us with your credit card number on the order form that you mail in or call us at (630) 964-8128. Or Contact Us. We use hot glue in the production of the sculptures, so we cannot accept plastic business cards. We can use paper cards of most any design. Download and complete the Order Form. Add Illinois state sales tax, if applicable. Send 20 paper business cards from the recipient and your payment. Allow 3-4 weeks AFTER we receive the cards and payment to process your order.